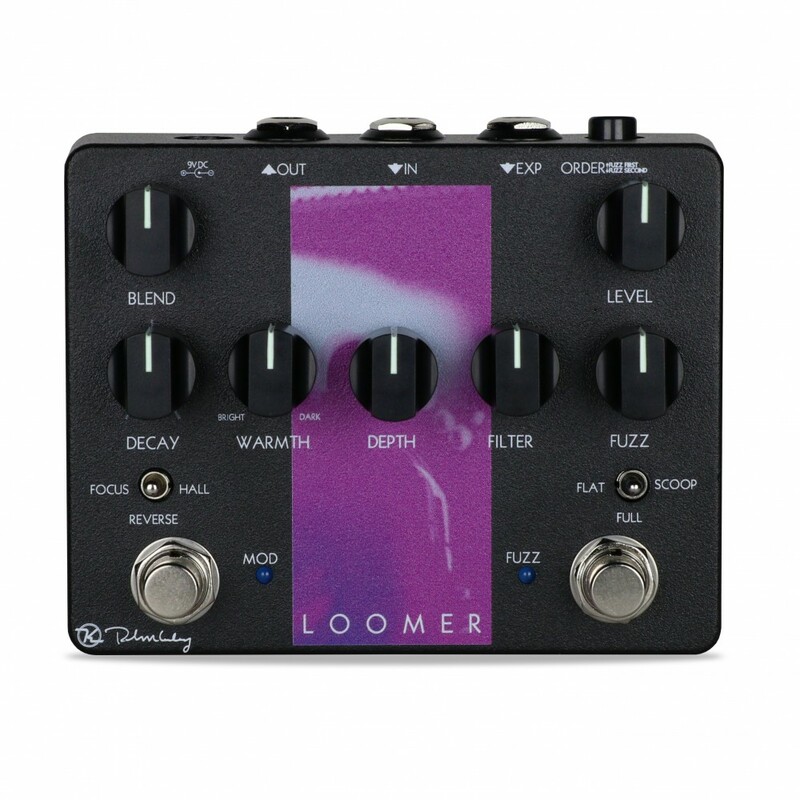 The Loomer is a Wall-Of-Fuzz drenched in a Wash-Of-Reverb. 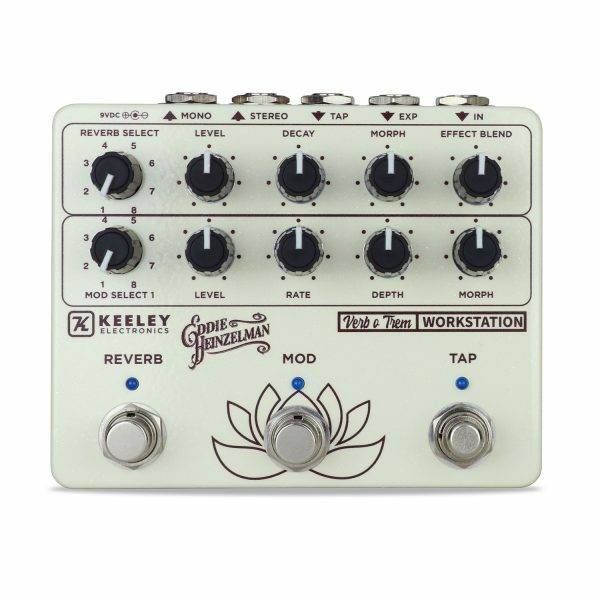 Heavy Gain, Soft Focus, Reverse, Cascading Octave Feedback, Tremolo Bar Strummed Reverb. A stoned, morning floaty, messed up, thrill machine is what it is. Washes of reverb in new ways you’ve not heard in a stomp box before and a fuzz that’s like a cigarette burn on your forearm. It rages. Can’t live without these three and the new reverbs are born of a Shoegaze dream. 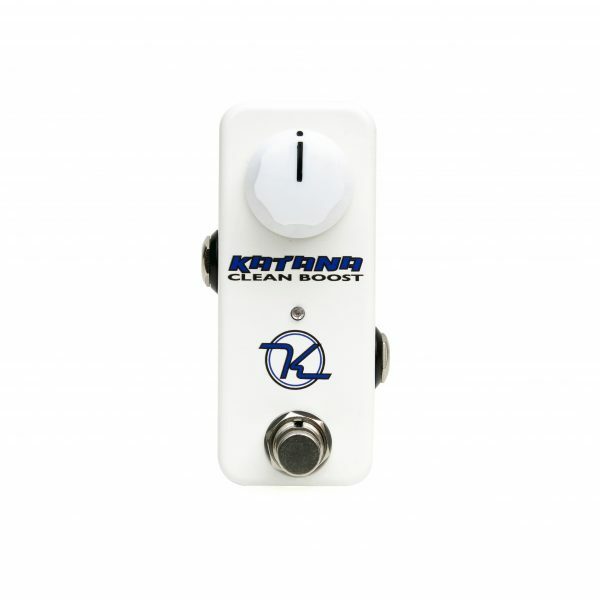 Super long ambient wash with the ability to add octave regeneration in the feedback loop. More than shimmer it’s more like ascension shimmer. 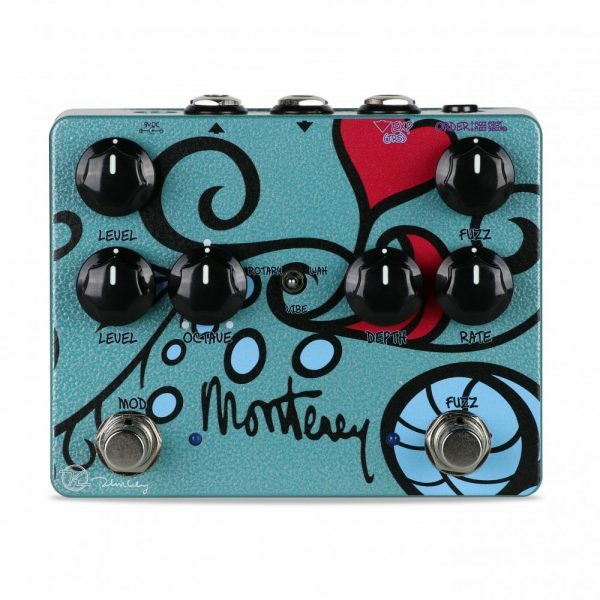 Set different delay times with the Decay control which gives you rhythmic reverse. This is based on the Yamaha SPX90 and the Alesis Midiverb II. 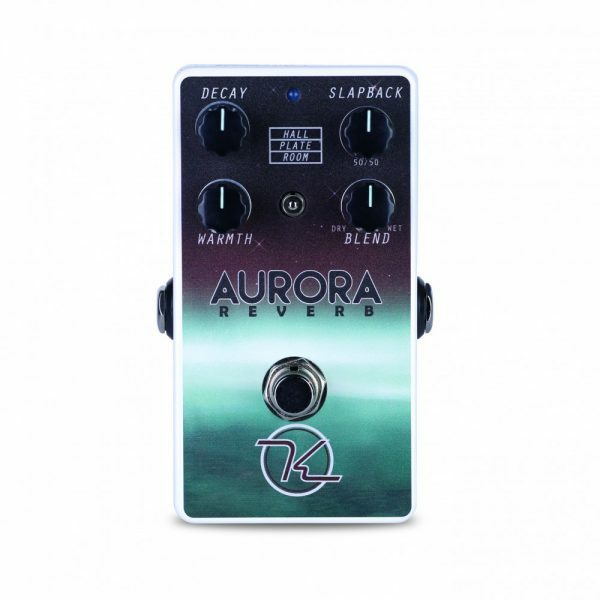 This is not a true reversed reverb as it reads through a delay line at various points in the delay while increasing in volume. The Decay control is more of a switch in that it is chooshing between 8 different set “decay” times: 150ms, 200ms, 250ms, 300ms, 350ms, 400ms, 450ms, and 500ms allowing you to set all kinds of delay times in which the notes come back at you. This is where it gets really cool. The vibrato in this mode is envelope controlled. 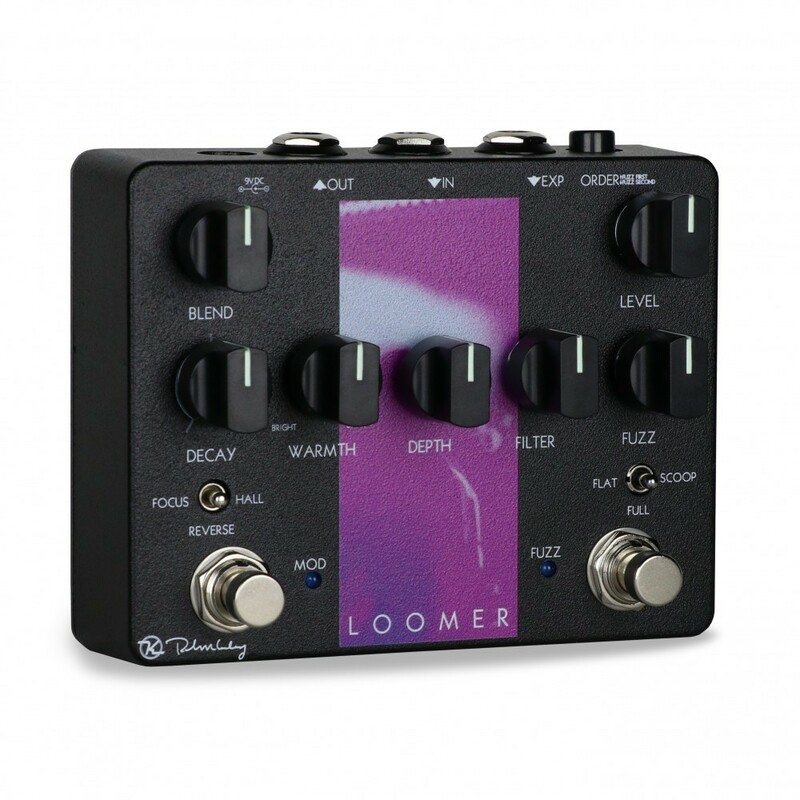 The range runs from 0 to 50ms of time shift.Tone control is loosely based on the Jazzmaster rhythm tone control with a low pass filter centered at 156.6Hz Strum hard at it pitch bends like you are playing the trem bar on a Jazzmaster or Jaguar! Combine the two for an unreal dual-guitar player effect! Grabs you by the fuzz. When you’re a gazer, you can do those kinda things.